A comment on the great commissioner's last NBA Draft. Throughout the course of this muggy, Bikram yoga studio of a New York City Friday afternoon, there's been plenty of coverage on last night's NBA Draft. What was predicted to be the worst NBA draft in the last thirteen years quickly turned into perhaps the greatest of all time (GOAT). Alright, fine, the talent wasn't great, some of the picks were baffling and there were an abundance of confusing trades; so many in fact, that, as of this afternoon, a lot of ardent NBA fans are still unsure of who their team's actually drafted, or of where their favorite college player will be suiting up this October. OK, in all honesty, the draft was kind of overshadowed by the massive, historic, and somewhat depressing trade that sent Paul Pierce and Kevin Garnett (and Jason Terry) to the Brooklyn Nets for Gerald Wallace (who exists in the same realm as Doink the Clown, R.I.P. ), Kris Humphries, MarShon Brooks (thank god Reggie still lives in my hood) and draft picks. This trade is monumental for a few reasons that will be discussed ad infinitum. The most notable talking points will be that the Knicks/Nets rivalry will now reach another level of intensity and, with first-time coach Jason Kidd coaching so many veterans and so many of his former peers, that the 2013-2014 Brooklyn Nets might be the biggest NBA trainwreck since the 2012-2013 Los Angeles Lakers. 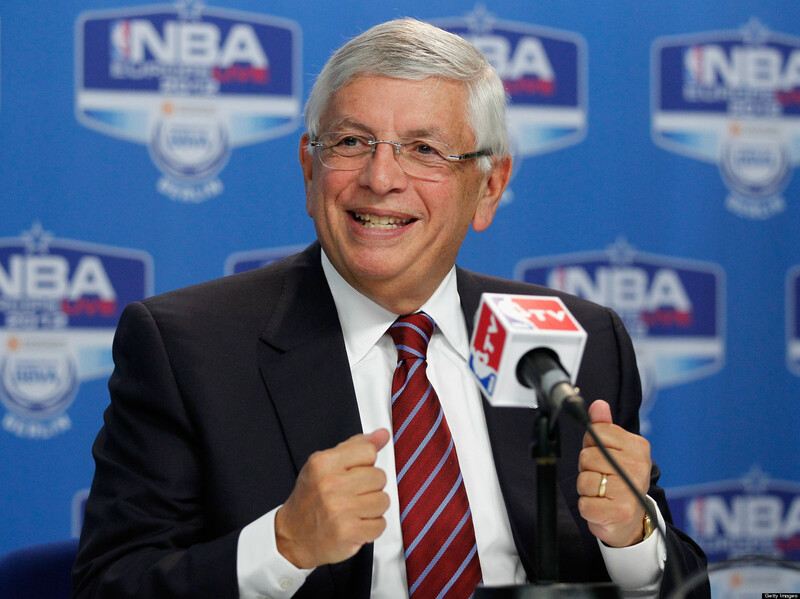 However, the true story of last night's draft was the performance of one David Stern. Do you see what I mean? You don't have to be a professional wrestling fan/historian to appreciate the level of confidence and showmanship that Commissioner Stern exhibits in that clip. I know that we still have about eight more months and three different legs left in the Commissioner David Stern Retirement World Tour, but for a moment I just want to stop and appreciate not only what this man has done for the game of basketball, but for general ownership and boss villainy everywhere. Please be sure to let me know as soon as we have a sports commissioner or public boss that can pull off that classic Mr. McMahon attitude.